After giving surprise of five additional taxes including google tax government is planning to levy additional tax named as E-commerce Tax. This tax shall be applicable to every online activity including sending receiving emails, downloading files and even on blogging. The recommendation of imposing taxes on these online activities was given by committee which was setup by CBDT (Central Board of Direct Taxes). In the proposal, it is said that 6-8% tax should be applied to 13 different services which include e-mailing and even downloading music or videos from the internet. The proposed e-commerce levy is in addition to Google Tax recently proposed by the government. 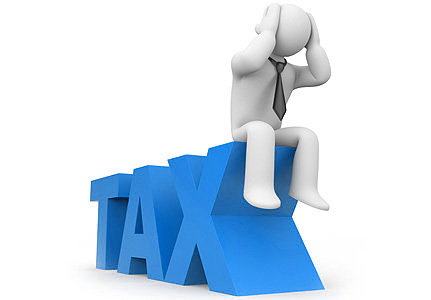 Google, Facebook or Amazon tax is a tax imposed on the company who does not have a permanent establishment in India. Any entity making payment to such companies exceeding 1 Lac per year for online advertisement need to withhold 6% tax on the gross amount paid as an equalization levy. This tax is to be paid by individual or startup company utilizing online advertisement services or using any other digital services related to the advertisement. This tax ambit shall be expanded soon by the government and expected to include a basic online activity like download or emails. How to Calculate Google Tax? Suppose you are running a business in India and want to pay 2 Lac to google for the online advertisement. As per new rule, you need to withhold 6% of 2 Lac i.e Rs. 12000 for the said transaction and need to pay Rs. 188000 to google. This 6% tax needs to be paid to the government as a Google Tax. If google does not agree to accept additional burden of 6% tax, the business owner has no choice but to accept 6% loss and need to pay Rs.212000 to google. The logic behind google tax is to prevent tax avoidance by a multinational company like google and facebook. The implementation of the tax is based on a recommendation by the committee, which was setup to find out base erosion and profit shifting (BEPS). Online advertisement company like google and facebook will be heavily impacted by this tax. In addition to google tax additional levy suggested by the committee is E-commerce Tax. The new proposed tax is expected to cover following services. Online advertising or any services, rights or use of software for online advertising, including advertising on radio & television. Digital advertising space of website. Online collection or processing of data related to online users in India. This tax will slow down progress of Digital India movement. Startup India initiative of the government will be impacted as most of the startup ideas are online. It will adversely impact internet services and people may not use Internet services. It will also impact Online content generation business and blogging. As far as my opinion is concern. I am in support of Google Tax, However, I would like to oppose the idea of imposing e-commerce levy. This tax will kill Digital India and Startup India campaign not only that it will also bury basic rights of Internet users under taxation. At the end, I would like to conclude the discussion by saying that Implementing tax after tax by the government is nothing but tax terrorism and the government should stop it as early as possible. Hope the government will not impose new e-commerce tax on internet users. Do support my view by sharing this post with others. « How to update change EPF Nomination online with UAN? Ravi you are right. Agreed, the government would want to dissuade companies and people from malpractices. But there are other ways to address those situations than just introducing another new tax. If you are occupying an office at such a high level, you would surely have access to creative ideas on how such challenges can be overcome. If they do some out of the box thinking, they can easily come up with a better solution that does not require the end customer to stretch their resources further.